Rudy Gobert snatched his 45th double-double on Saturday tying Joel Embiid on the top of the list with the players with the most during the NBA 2018-19 Regular Season. 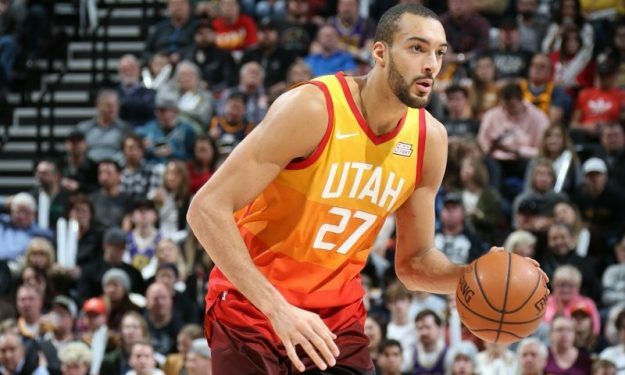 He went off for 21 points with 8/10 two-pointers and grabbed 13 boards paving the way for the Utah Jazz to their home win against the San Antonio Spurs. He also offered his share of impressive dunks to the Vivint Smart Home Arena crowd. “We just had to get the win. To me, that was the number one thing tonight. I had to come out ready and we had to come out ready as a team” the 26-year-old French center mentioned after the game and added: “We are moving the ball. We are putting a lot of pressure on the rim with our drives and the rolls, then we find the open guys, draw fouls or find the big man”.